Break into male modelling and a whole new world will open up before your eyes. You’ll get to work with cool people, see the world and possibly even become a star like Lucky Blue Smith. The industry’s latest ‘it boy,’ as far as male modelling success stories go, it doesn’t get better than Lucky. 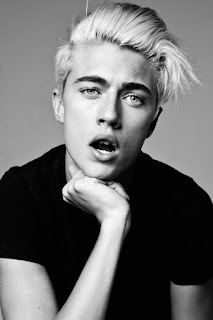 Raised in small town Utah, Lucky Blue Smith grew up to become a six-foot-two-inch Adonis. According to Business of Fashion, Lucky’s older sister Daisy Clementine was scouted before him, when he was just ten years old, by Next Models Los Angeles. They told him to come back in two years.